Khen Rinpoche Lama Migmar has been serving Harvard-wide student, faculties, and staff as a Buddhist Chaplain since 1997. He received both a traditional and a contemporary education in India. He graduated with an Acharya degree in 1979 from Tibetan Institute of Sanskrit University, Varanasi, India, and with first position every nine years among four schools of Tibetan Buddhism. He was awarded a medal for academic excellence by His Holiness The Dalai Lama. He was also recognized as Khenpo for his scholarship and service to the Dharma by His Holiness the Sakya Trizin. Lama Migmar served as the head of Sakya Center in Rajpur, India, and the Sakya Monastery in Puruwalla, India, from 1981 to 1989, taking care of the well being of several hundred monastic residents. During this time he reintroduced the original form of the geshe educational system of Tibet, with degrees from kazhipa up to the rabjampa degree, with a curriculum that included all of the eighteen major texts, which are known as the Dragchen Chogyed. Lama Migmar has supervised the editing and publication of over 50 rare volumes of Sakya literature including the 31 volumes of Sakya Lamdre and the rare Golden Manuscripts of the Five Founding Masters of Sakya. 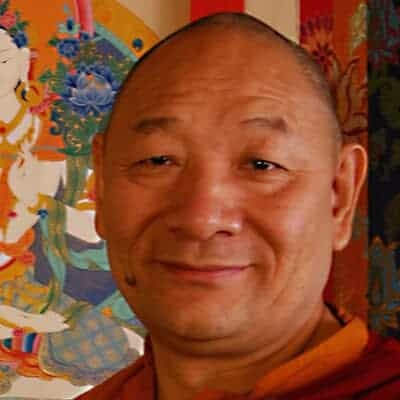 Lama Migmar has also authored and published many books covering various subjects from Hinayana, Mahayana, and Vajrayana traditions, including, “Awakening to the Noble Truth”, “Wisdom Gone Beyond”, “The Play of Mahamudra”, “The Tibetan Book of Awakening”, “Treasures of the Sakya Lineage”, and “Visions”. More information about Lama Migmar’s publications can be found at Mangalamkosha Publications. Lama Migmar has also established Mangalam Studio to share spiritual arts, teachings, and practices via podcasts, videos, practice texts, and other types media to the public for free. He has been leading many retreats at Buddhist centers throughout North America and Europe. He is one of the lead faculties at Kripalu in Berkshire, MA. He founded Sakya Institute for Buddhist Studies in Cambridge, MA in 1990.